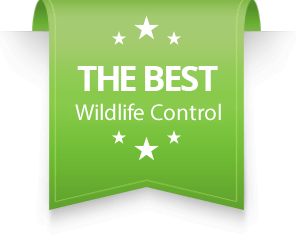 Bat Removal - SIA Wildlife Control Inc. When performing a bat removal service technicians first look for entry points on the exterior and interior of a home. Once the entry point has been found, bat removal experts deploy a special screening on the area. The screening is also known as an exclusion door which works in a way that bats can easily crawl and squeeze through without return. The system is designed to use bat abilities and weaknesses in flight against them. Bats will not be able to return to the attic through the exclusion door. Once the screening is in place properly, other potential gap areas of the attic must be sealed. Generally any kind of waterproof outdoor and indoor caulking will do the job. Keep in mind that professionals who remove bats using this method always leave an exit door for bats. When bats have been removed, the technician returns to remove the screening and begin sealing the area. Wildlife technicians have to make sure all questionable gaps are sealed in order to make a home bat free. Bats are nocturnal and normally found in the night sky. During the day they roost in caves, attics, underground and places that are generally dark. Bats are sensitive to light, therefore they avoid the day and venture out at nights. Echolocation is the means that bats use to hunt insects which is similar to sonar. Although bats use echolocation to hunt, they are not blind. Bats do have vision, however it is their echolocation that allows them to avoid objects during flight. 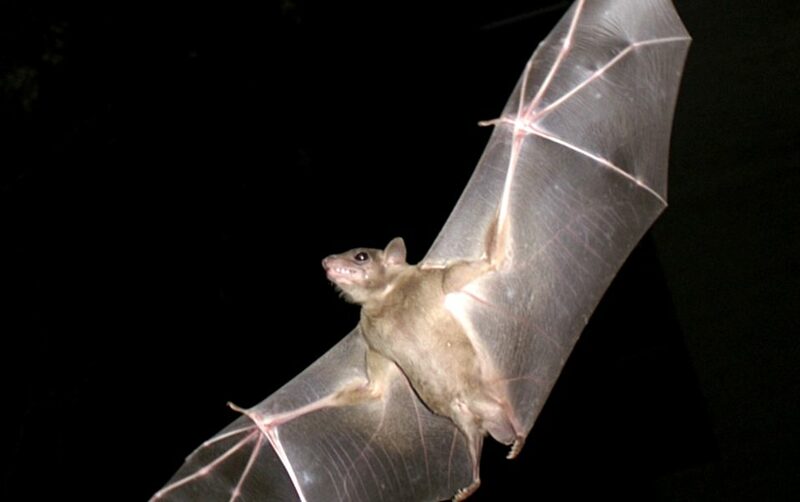 A bat can sense how far objects are from the time it takes the sound to echo back to the bat. Humans usually can’t hear bats, our hearing range is anywhere between 20Hz to 20 kHz. Certain bats can hear frequencies up to 110 kHz. How Do You Know You Have A Bat Problem? Bats usually reveal themselves when they accidentally fly into your home. When inspecting for bats you may visually see them entering and exiting your attic. 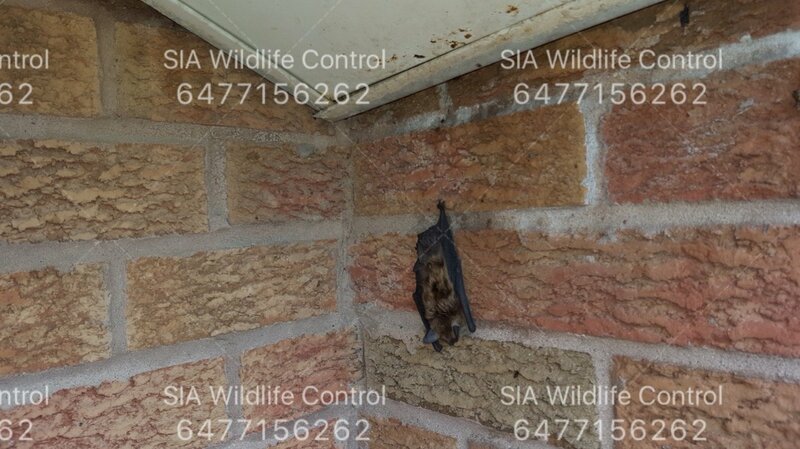 Common bat entrances are most likely from a gap between the side wall and the soffit. Chimneys can be a potential entry point for bats as well, so making sure that they are secure helps. In most cases bats leave guano at the site of their entrance which is a helpful tool in the bat removal process. When bats are entering an attic they leave a trail of droppings (guano). You may also find guano piled up on the ground where they are entering and exiting. There is always a little bit of danger when attempting to remove bats from your home. You should wear personal protective equipment to help reduce and avoid your chances of being bit in case of rabies. Histoplasmosis is another concern that affects more homes in Toronto than you might think. 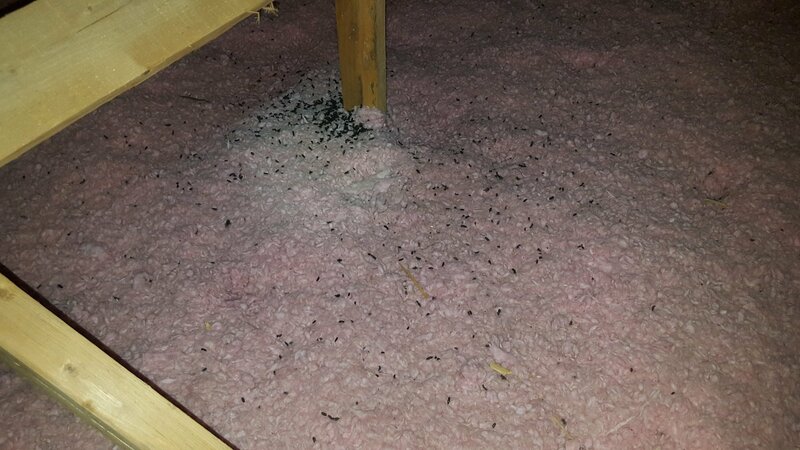 When bat guano piles up inside an attic, over time, a sufficient amount of it can cause Histoplasmosis. Histoplasmosis is a fungi which can become airborne when disturbed in the form of spores. It is possible to contract this disease from exposure to bat guano. Some complications from histoplasmosis include; Heart problems, Adrenal insufficiency, Meningitis and Acute respiratory distress syndrome. In the months of June to August, bats will roost and have babies. Each mother has one baby per year. So if you have a colony of 50 bats, then 50 more bat babies will be present. Only female bats roost in an attic during the baby season. In order to remove bats you have to be certain that there is no babies in the attic to avoid a colony of dead baby bats. Bat babies cannot fly and hunt for their own food and therefore require their mother to bring in food for them every night. Blocking off the mother bats with exclusion nets during baby season will result in the starvation and death of baby bats in your attic. This is both illegal and inhumane. A seasoned wildlife control technician will inform you of baby season complications and reschedule you in an appropriate time for bat removal. Our technicians will guide you in avoiding bats entering your home while you wait for the appointed time to remove your bats humanely.